We manufactured two vertical revolves for this production of Wagner’s Die Meistersinger von Nurnberg. 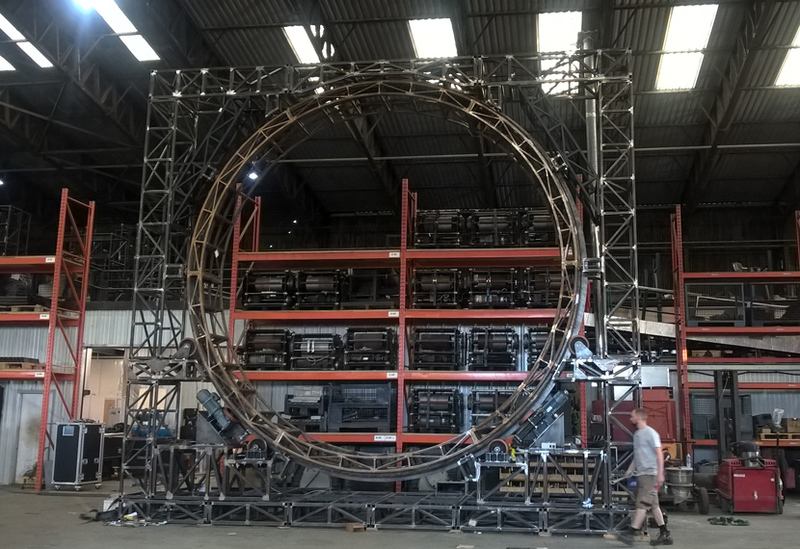 The two pinch-driven revolves were fabricated in our metal and engineering workshops before being test built and trialled in one of our hangars. The larger 7.6m revolve was housed within a 9.7m supporting structure and stood upstage, directly in front of the smaller downstage revolve. 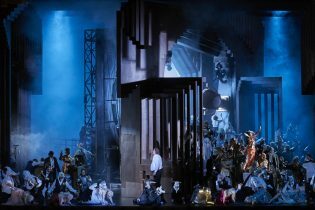 Each rotated in a counter direction, creating dynamic movement on stage. 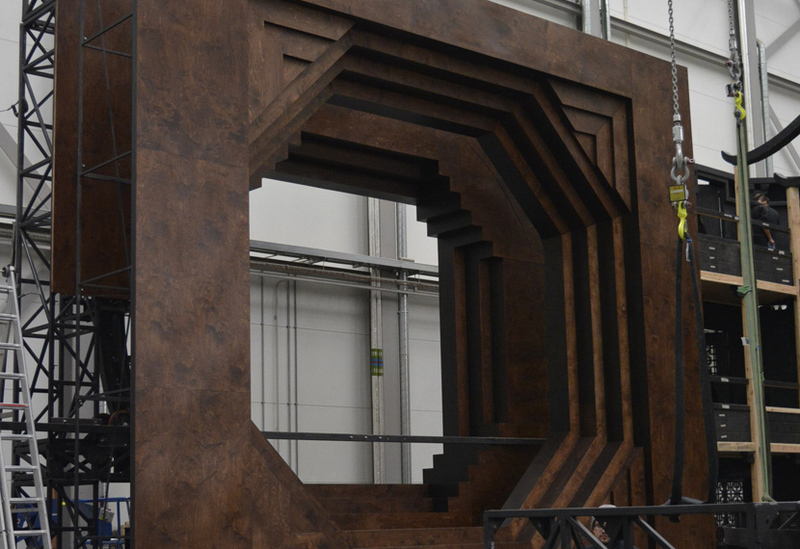 The revolves were clad and finished by the Royal Opera House team, providing a series of rotating stepped and flat surfaces for props and cast. The revolves were positioned on the ROH’s own stage revolve and were operated by their stage technicians. To this end, we designed an easy-to-use positional control panel with a wifi E-Stop system. 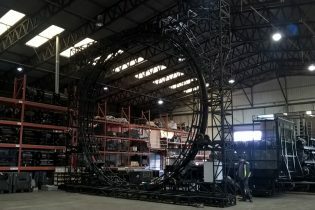 The revolves were created as a kit of parts and were designed to be shipped for future touring.